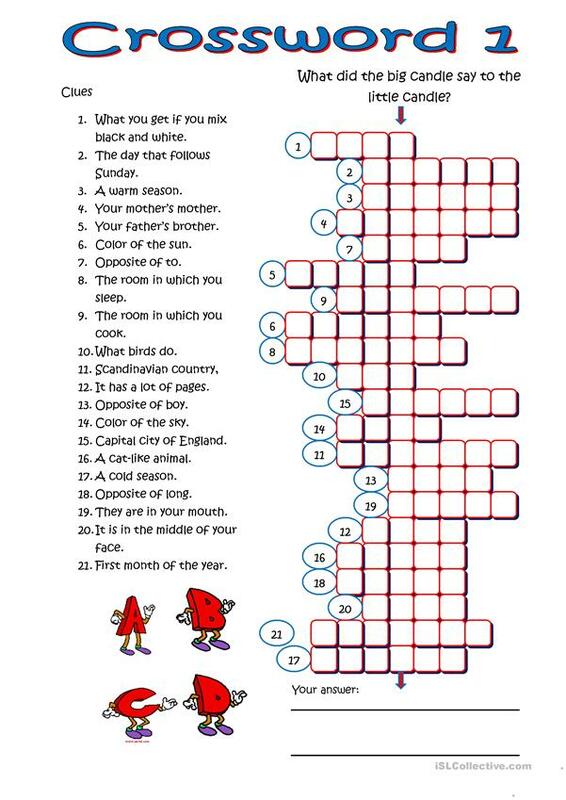 A new crossword series with elementary vocabulary used in a crossword. There is the beginning of a joke before the crossword and it is then for the kids to work their way through the crossword to get the answer. It is fully editable. Have fun in class. The above downloadable printable is meant for elementary school students at Elementary (A1) and Pre-intermediate (A2) level. It was designed for honing your students' Writing skills.